Important, but I just didn't feel it. I don't think it's fair to write a review of this book without disclosing a few tidbits of my own attitude to this polarizing President. I supported Bush reluctantly and with some misgiving, and I was never an enthusiastic or a rabid supporter. Listening to this book, President Bush focused on his key decisions, not his life. I have to say that while I listened to his arguments and found them to be well reasoned and logical I kept asking myself, "So do you really believe it? Do you feel it?" I just didn't feel like Bush spoke from a point of absolute conviction. I kept thinking while I listened, "He seems like the MBA president." Strong on theory, but short on depth or conviction. It was an interesting experience. I am grateful that he wrote the book and read it straight himself. If you hate Bush, you might find some peace listening to his thoughtfulness - no one insists that you ought to agree with him - but hearing his side will perhaps leave you with a belief that it wasn't a huge conspiracy. 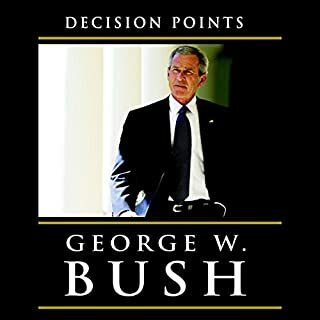 If you love Bush, I think you will enjoy this book too - his arguments are well reasoned and you have the right to be proud of the president. We'll see how history judges him and I think he'll do well. In the forward the author makes it clear that this book has a different approach from other approaches to narrating history. 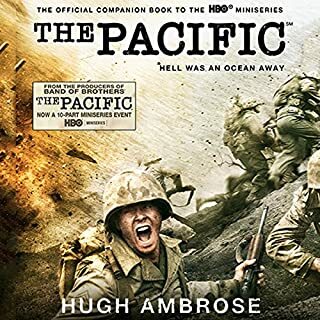 This is not a comprehensive book about the war in the Pacific in its entirety. Nor is it a detailed account of a particular battle. It’s not the experience of one person. Instead it is the intertwined story of five men – collectively they experienced many of the war’s vast trials. I found the narration to be clear and straightforward. It does not need a great deal of inflection – the writing is so vivid it stands on its own. In part one I found myself breathing hard as I listened to what it was like to be a dive bomber pilot rolling into a seventy degree dive raining down on a Japanese carrier at the battle of Midway. I felt revolted at the recount of enduring a Japanese POW camp on The Philippians. When I heard the detailed incredible struggle of John Basalone’s machine gun battle on Guadalcanal I was speechless. It just keeps going on and on – I was amazed. A few warnings will make sure you enjoy this book. First, I did initially find it confusing when the narrator switches from story to story. I relaxed and told myself the confusion was part of my own vicarious experience. About one third of the way through I was familiar enough with the stories to make that issue go away. Second, the stories all start out with very great detail about some of the things you might not consider essential, but can be fascinating. Examples include: How do carrier pilots find their way back to the carrier? When firing a Browning water-cooled machine gun, fire in bursts, not a stream – the barrel will overheat. If you listen carefully, you really have a good grasp on what happens later. I’ve read (listened) to a lot of books about history and conflict. The approach taken in this book is fresh and enjoyable. The stories are important. The stories of these men need to be recounted and from many different angles. We ought never forget. 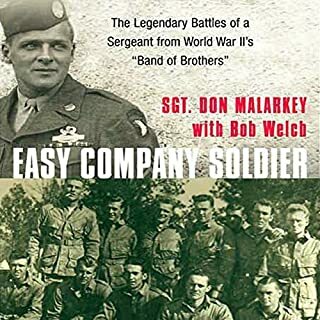 I've read through nearly all the materials surrounding Easy Company and this account is fantastic for fellow enthusiasts as well as people new to the story of this remarkable company. Malarkey and Welch make sure they explain everything they encountered as if the user has NOT seen the HBO miniseries or read other books, but there is also a great deal of the personal stories and perspectives of Don Malarkey that make it a valuable point of view for those that had read many of the other memoirs. Lloyd does a great job reading the story with expression and clarity. Malarkey and Welch begin the recount at a dramatic moment - in the frozen woods near Bastone and in riveting detail, describe the harsh conditions of life on the front line. Then they backtrack to the beginning of Malarkey's life and provide a colorful view into prewar America on the rural west coast (Oregon). From there the story progresses linearly through the prewar years, the attack on Pearl Harbor, basic training, crossing the pond, life in the UK, D-Day, Market Garden, Bastone, The Eagles Nest, the end of the war and post war life. What you come away with is a sense of awe about the WWII generation and the men that fought desperately, won and got on with their lives. I really wish I could meet Don Malarkey, but given I probably will not, this was an invaluable substitute and I am so glad I listened to it. This is Tony Blair’s firsthand account of his years in office and beyond. Here he describes for the first time his role in shaping our recent history, from the aftermath of Princess Diana’s death to the war on terror. He reveals the decisions necessary to reinvent his party, the relationships with colleagues including Gordon Brown, the negotiations for peace in Northern Ireland, the implementation of the biggest reforms to public services in Britain since 1945, and his relationships with leaders on the world stage. Unlike anything I've ever heard - I want more! In the opening chapter of this book, I immediately realized this book was going to be an entirely different experience. Hearing Tony Blair read aloud about just how starkly (and secretly) terrified he was upon winning his initial landslide election was honest and thrilling. When he describes his initial meeting with the queen (‘You are my tenth prime minister. Winston Churchill was my first’) you can’t help but grin as you gain the vicarious feeling of what it must have been like to assume the reins of power. As the book unfolds, Blair does not lose his way. He continues to articulate both the amusing side of life as a world leader (The time his son got drunk and was arrested on the eve of his big speech on antisocial behavior) as well as articulate in clear detail his controversial and visionary decisions (Why Iraq? Why Afghanistan? How did New Labor come to be?) I’ve never heard of any other case where a world leader took the time to give you such a person tour of their time in power. By the end of the book, I came away with a few confident conclusions. 1) Tony Blair is a deep and nuanced thinker, open to new ideas and able to clearly formulate a vision for leadership in the 21st century. 2) If you think you have all the answers on what ought to have been done over the last 10 years, it is a bit trickier than you might imagine. 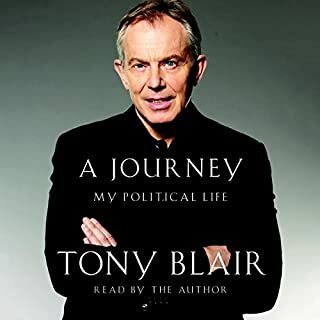 3) Tony Blair is on my top 10 list of people I’d love to have a beer with and knowing that is not likely to happen I was so glad I listened to this book. After "Agent Zigzag" I became a Ben Macintye fan. He does not disappoint in the next foray into the world of deception and espionage. This tale has a riveting amount of characters, threads and plot elements that all converge in the most fantastic of ways. When I took a second listen, I caught things that I missed the first time. The entire story falls into the camp of "You just can't make this stuff up." It was a rewarding and satisfactory read all around. Other reviews really hammered John Lee for doing his voices with some bad accents and I think the other reviewers were a bit harsh. He sounded ok to me and as an American, I WISH, I sounded like the American accept Lee gives his American generals. 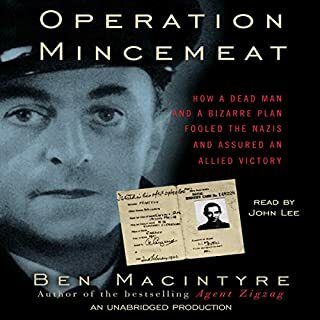 If you are already familiar with the story of "The man who never was" (I was not) you can still look forward to new insights and revelations as Macintyre is the first to gain access to the private papers of Agent Montague. Who was the man who never was? 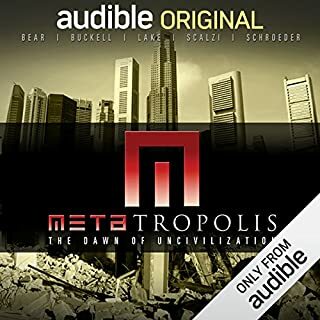 The answer awaits you in this audio book! As the title suggests, this book will show you how easily our minds can be tricked into believing there is a cause->effect relationship where in many cases, randomness is the real cause. Using many colorful examples for every day situations as well as from examples in money and investing, you will go on a mental adventure that will bust illusions and stimulate your critical thinking muscles. When you're done you might not ever look at the world the same way again. I don't. 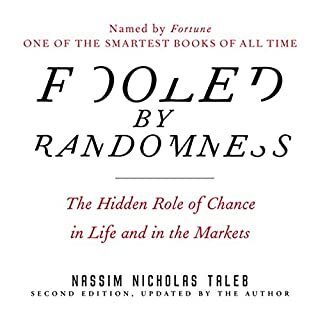 I've spent the first 12 years of my career doing everything this book rails against and I've come to one empirical conclusion - Nassim Taleb is correct. In 1940, inventor J. Ripley Kiel was taken by Secret Service men to the Oval Office, where he planted a microphone in FDR's desk lamp and connected it to an experimental sound recording machine. Since that day, almost every president has found some use for recording. 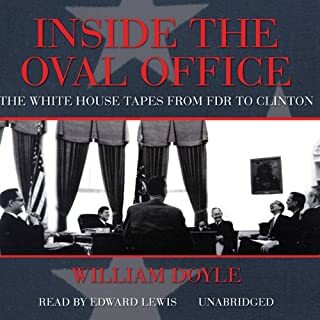 The tapes and transcripts left behind are a cockpit voice recorder of the presidency, time capsules from crucial moments in American history. Finally, the answer to my question is here! If you've ever wondered, 'Gee, what the heck does a President do all day?' then this book is for you. I've always been curious about the day-to-day executive life of being President. William Doyle does a magnificent job of presenting the different work/life balances for all the dramatically different men who have held this seat of power. For anyone that wants to know more about management, leadership, complexity in the context of real-life history, this book is for you. If you don't know much about the 20th Century Presidents, you'll get a good digest, and for those that are fluent with the significant events of these presidents you won't get too bogged down waiting for the verbatim conversations. Edward Lewis does a superb job of clearly narrating the transcripts in a natural way that still conveys the different voices involved in each dialog. The quality is great. This is a really informative, funny and colorful listen. 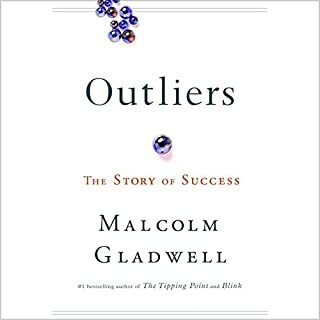 I've read Gladwell's prior books and this one lives up to the other two. Read by Gladwell himself, he adds a clarity and a richness to the text. As for the ideas presented in the book, Gladwell makes a strong and compelling case for the power of our environment/culture to shape us. However, I find his observations more of a curiosity as his analysis is anecdotal, personal and always entertaining. To really complete his destruction of the heroic individual he'd need to explain those that squander lucky opportunity and the inevitability of chance encounters seized by enterprising individuals. Western individualism will survive Gladwell and yet it can be enhanced by his observation. When I read about this project and listened to the editors preface I thought I was in for a very imaginative and creative work. While this isn't a terrible book, it's not that creative. I prefer Science Fiction that is a metaphor for a insight into the human condition. Here I felt was science fiction as a metaphor for the collective authors' current day political view points. It got a bit tiresome and was repetitive. Because this book makes statements on so many current day events, it will probably not be as interesting in say, two or three years. The brightest point of the book are the readers. All your favorites are here and they do not disappoint. As for the stories themselves, they are of varying quality, but on the whole B- in average. If your choice of books is between this one and one that you're very excited about, choose the other. If you are just looking for something that might be a solid base hit, this book will meet your expectations. I LOVED this book. It was clear and easy to follow. Most of all, it was so compelling and the logic was so sound. 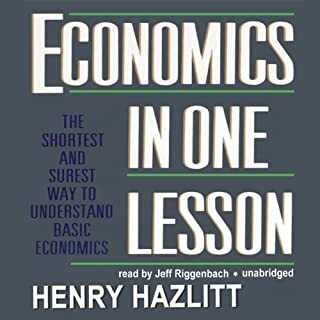 Too often we ignore sound economic wisdom in the pursuit of small gain. The results are all to predictable. (Can you say financial crisis?) Do yourself a favor and enjoy this quick listen. You will be so much wiser as a result.